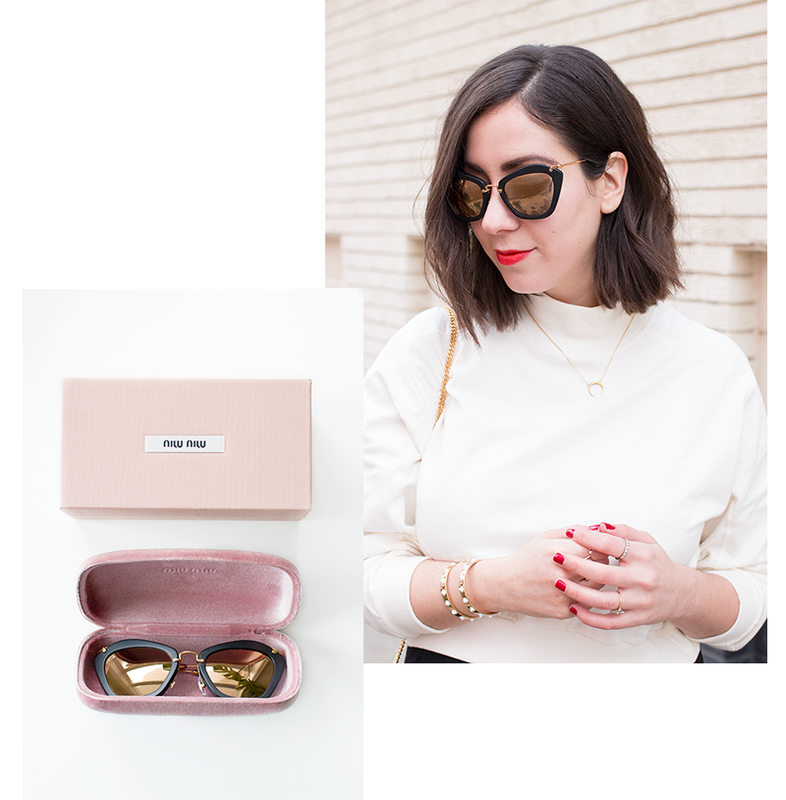 Sunglasses are one of those things I just can't live without — I live in an incredibly bright (albeit cold) city, and most days I would have to mad-dash to some shade while hissing if I have nothing protecting my eyes. Not cute, and definitely not practical. I like to invest in a new pair each year or so to spice things up a bit (sorry if you're sick of my Celine's by now! 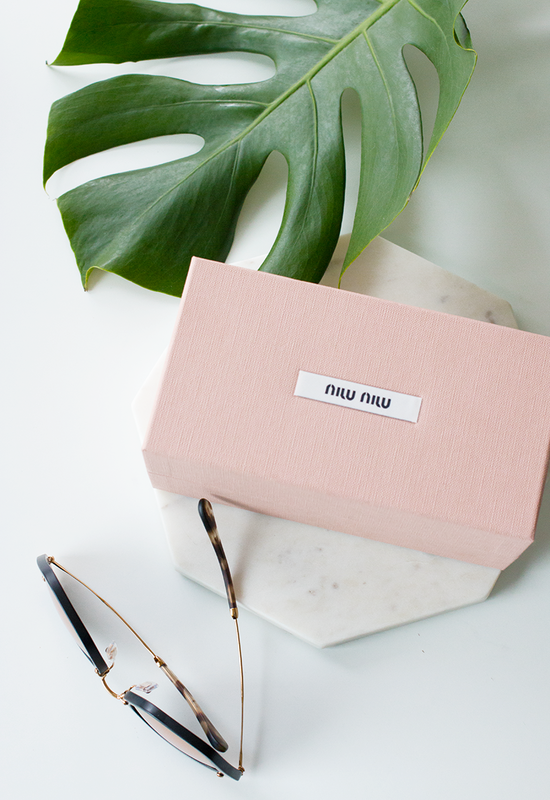 ), which is why I was borderline emotional when this pair of Miu Miu sunglasses arrived in the mail recently. 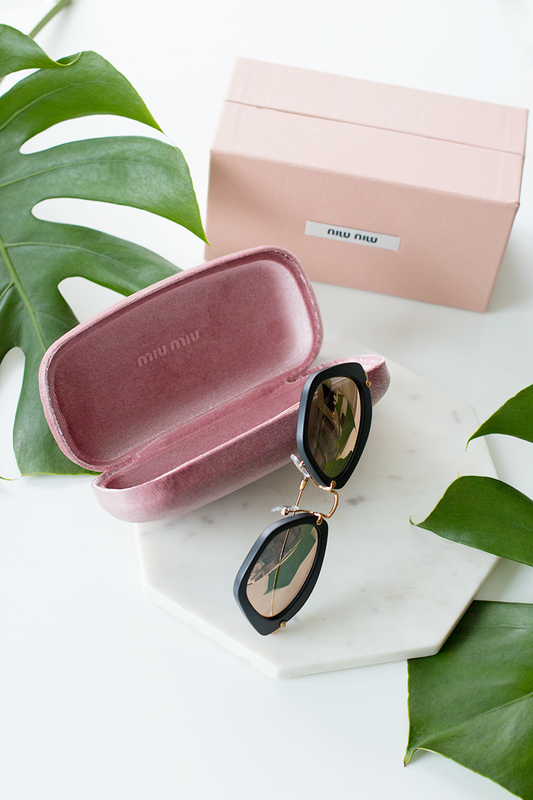 They're completely different from anything I own, and the pink box they came in is the stuff of Instagram dreams... oh, and my eyes are happy too. Those babies look gorgeous on you!